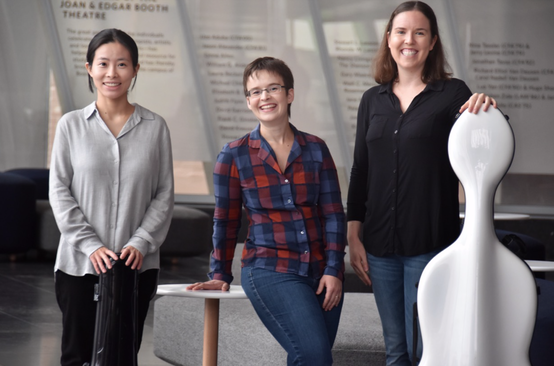 Illuminate ensemble in residence Prism trio US-UK exchange for Season I 2019! Illuminate Women's Music 2019 seasons I is supported by PRS Foundation’s The Open Fund for Organisation and Ambache Charitable Trust..
​Laura Shipsey is a composer based in Hertfordshire whose music draws on ideas of movement, journey, and juxtaposition, and has been described as ‘quirky’, ‘vivid’, and ‘humorous’. To date she has worked with ensembles and organisations including the Ligeti Quartet, BBC NOW Wind Quintet, Cardiff New Music Collective, Cambridge, Heidelberg, Montpellier Youth Orchestra, the Yorkshire Late Starters Strings, and the European String Teachers’ Association. Laura was recently awarded her Masters degree in composition with distinction from Cardiff University under the supervision of Arlene Sierra. Her previous teachers include Sam Hayden and Eric Egan whilst at Durham University, and Peter Wiegold at Cheltenham Composers Academy. Laura’s projects in 2019 include the premiere of her first full orchestral work ‘Samara’ commissioned by Aldworth Philharmonic Orchestra, a collaboration with the pianist Ana Beatriz Ferreira, and development of the Hooting Cow Collective, an experimental music group of which Laura is a cofounder. Kerensa Briggs is an award-winning composer based in London. Her music has been performed internationally and recorded for broadcast on BBC Radio 3 and BBC Radio Scotland by ensembles such as The Tallis Scholars, the Royal School of Church Music Millennium Youth Choir, St Salvator's Chapel Choir and the Choirs of Hereford, Worcester and Gloucester Cathedrals. Kerensa's music also features on the St Salvator's Chapel Choir CD, 'Annunciations'. Kerensa is winner of the National Centre for Early Music Young Composers Award 2014 and the 'Passiontide at Merton' Composition Competition 2017. Judges of this competition, chaired by Professor Robert Saxton, praised Kerensa's ability to write with a 'great feel for choral sonority and textures'. She was also a finalist in the 'European Re-imagining Old Hispanic Musical Culture Competition' in association with the choirs of Christ Church, Oxford and Bristol Cathedral. Kerensa is a member of the TheoArtistry Composers scheme at St Andrews' Institute for Theology and The Arts, mentored by Sir James Macmillan. 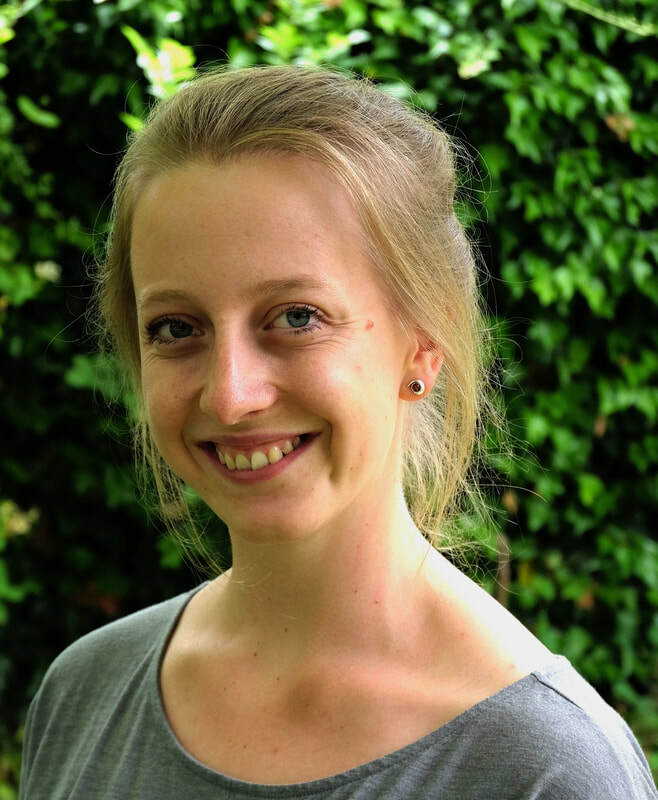 She was recently selected as one of the composers for The John Armitage Memorial Trust 'Music of Our Time' concert and recording with the Choir of Selwyn College, Cambridge, which received over 130 applications. Her love of sacred music emanated from her choral background, singing in the Gloucester Cathedral Youth Choir and later for choirs including the Choir of Trinity College Cambridge and the Chapel Choir of King's College London, where she currently holds a Choral Scholarship and is continuing postgraduate studies in Composition. Angela Elizabeth Slater is a UK-based composer. In her AHRC-funded PhD at University of Nottingham, Angela developed an interest in musically mapping different aspects of the natural world into the fabric of her music. She frequently associate these concepts and phenomena from the natural world with ideas of movement, forging close links between her gestural language and techniques found in dance. Angela enjoys working with professional and amateur musicians with equal enthusiasm. Highlights include the Atea Wind Quintet, Bournemouth Symphony Orchestra, Bozzini Quartet, Assembly project, Aurea Quartet, BBC Singers, and Psappha, amongst others. Recent significant achievements include being a Britten-Pears Young Artist through which Angela worked with Oliver Knussen, Colin Matthews and Michael Gandolfi, developing Soaring in Stasis which received its premiere at the 2018 Aldeburgh Festival. Her work Eye o da hurricane (for string quartet), was shortlisted in the British category ISCM world music days in 2017. She is also London Firebird Orchestra’s 2018 Young Composer of the Year resulting in the commission of Twilight Inversions. New England Philharmonic also recently named her as their 2018 call-for-scores winner resulting in the world premiere of Roil in Stillness in April 2019. Angela has recently become a 2018 Mendelssohn Scholar and will receive specialist mentorship from Michael Gandolfi, in Boston in Spring 2019. Blair Boyd is an American composer currently based in the UK whose highly energized compositions engage with physical movement and the perception of time. Most recently her work has been performed by members of the Heath Quartet, Dr. K Sextet, and Cardiff University’s Contemporary Music Group. She has also worked extensively with Bristol CoMA who performed her piece for flexible ensemble Tracing Outside the Lines at both Bristol University’s Victoria Rooms and Colston Hall in 2014. In 2016 Shadow Woman, recently recorded for future release, was premiered by harpist Gwenllian Llyr and soprano Sarah Dacey as part of a collaboration with the Coma &amp; Disorders of Consciousness Research Centre at Cardiff University. She was also commissioned by the Girls’ Day School Trust to compose and conduct the finale piece for the GDST Young Musician of the Year Competition in 2018. Boyd holds degrees from the University of Tennessee (BMus) and the University of Bristol (MA). She has also studied with Michael Zev Gordon (Cheltenham Composers’ Academy), Judith Weir (Dartington), and Kenneth Hesketh (MusicFest Aberystwyth) on summer festival courses. Her piece for string quartet Juncture was recently presented in masterclass with Helmut Lachenmann as part of the HighSCORE New Music Festival in Pavia, Italy, where she also received tuition from Amy Beth Kirsten, Sarah Kirkland Snider, and Dmitri Tymoczko. Currently a postgraduate at Cardiff University, Boyd is writing her first chamber opera The Yellow Wallpaper under the supervision of Dr. Arlene Sierra. She is also co-organizer of Illuminate Women’s Music Concert Series, anew project to promote the work of emerging women composers and performers. ​Israeli classical pianist Anna Arazi is an active performer, speaker and educator. Among her interests are 20th- and 21st-century piano music, research on Israeli composer and pianist Verdina Shlonsky, and promotion of ergonomically scaled piano keyboards. Anna performed numerous premiers by composers including Ketty Nez, Gregory Brown, Talia Amar, Vera Ivanova, Andras Hamary and Adam Berndt. Anna is a prize-winner of the Dallas International Piano Competition 2015 and American Protégé International Piano competition 2014, among others. She performed with the Sinfonietta Beer-Sheba and Boston University Symphony orchestras, and recently had her Carnegie Hall debut. Her entrepreneurial and concert activities were praised in Boston Musical Intelligencer, Theater Jones and Symphony Magazine. 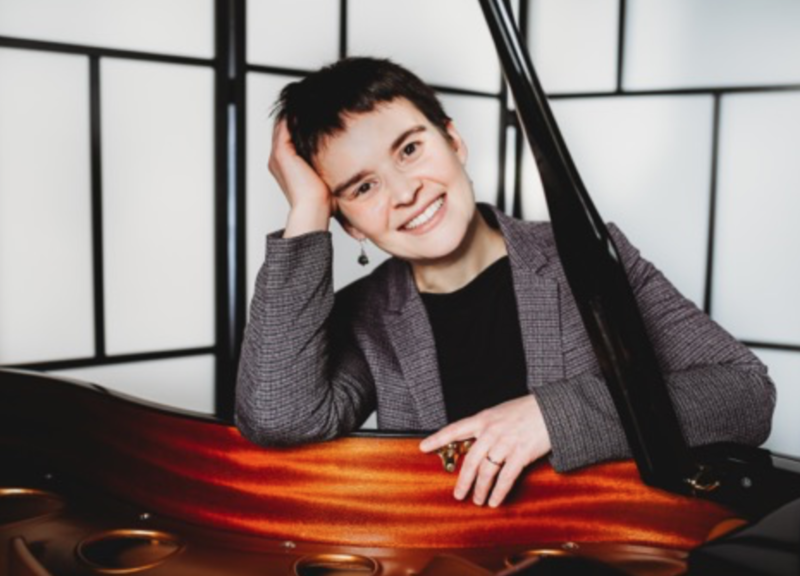 Anna received her doctoral degree from Boston University in 2015, supported by the honorable Richmond scholarship, and her bachelor's and master’s degrees from the Jerusalem Academy of Music in Israel. In 2018 Dr. Arazi joined the leadership committee of Women in Music - a non-profit organization dedicated to promote, empower, support and advance women in the music industry. She is the current president of the Massachusetts Chapter of the World Piano Teachers Association. ​Subaiou Zhang was born in Tianjin, China and started to play the violin at age 3. At age 7, she won the first prize of the 3rd China National Violin Competition for Young Musicians in 1995. She entered Boston University’s School of Music to pursue a Master of Music degree in the fall of 2013. During her studies at Boston University, Subaiou frequently performed as concertmaster with Boston University Symphony Orchestra, and won the annual Bach Competition at Boston University in 2015. Subaiou currently studies modern violin with Professor Yuri Mazurkevich and baroque violin with Jane Starkman. 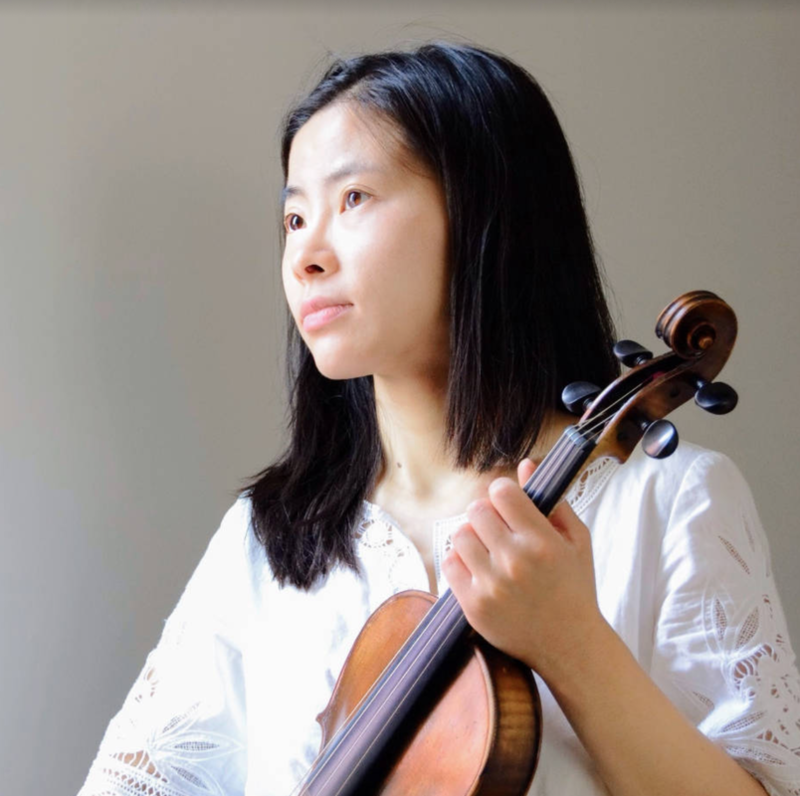 Subaiou performs actively in the Greater Boston area on both modern and baroque violins, including recent solo performances with the Wellesley Symphony in 2016 and the Brookline Symphony in 2017. In addition to orchestral performance, Subaiou also founded and performs with the Loki String Quartet. In residence at Worcester Polytechnic Institute, the quartet performs chamber music concerts in both concert hall and outreach settings in the Greater Boston area, presenting standard chamber music repertoire as well as new works by contemporary composers. ​Cellist Timothy Paek is an enthusiastic musician with a passion for chamber music. He believes in and champions an ideal: chamber music can better the world. Timothy is a founding member of the Meadowlark Piano Trio, which recently advanced to the semi-final round of the Fischoff International Chamber Music Competition, This season, the trio serves as artist fellows for the Music for Food organization, a musician-lead initiative to fight hunger in our local communities. .
You can now support the activities of Illuminate 2019 season I!